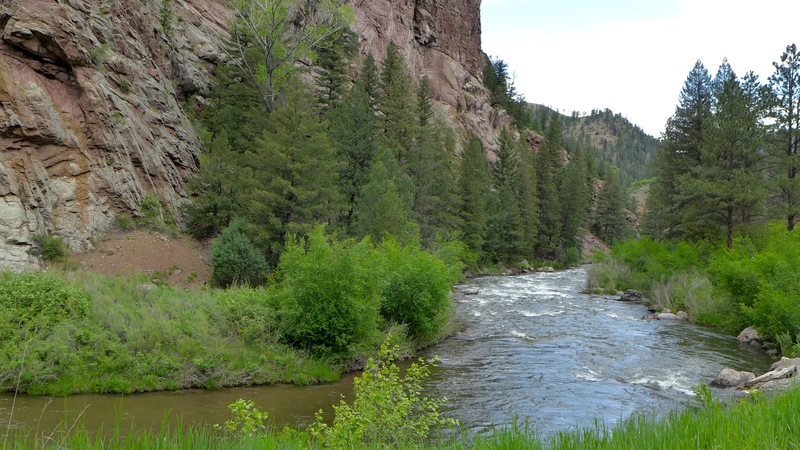 In 2018, though, municipal and industrial ownership of the 310,000 Colorado-Big Thompson water units…crept to 70 percent, leaving just 30 percent owned by agricultural users. But more than half of the system’s water still has been delivered to farmers in recent years, according to Northern Water data. That discrepancy reflects how much Colorado-Big Thompson water — originally intended to be a supplemental supply late in the growing season — farmers are renting from cities such as Boulder and Longmont. 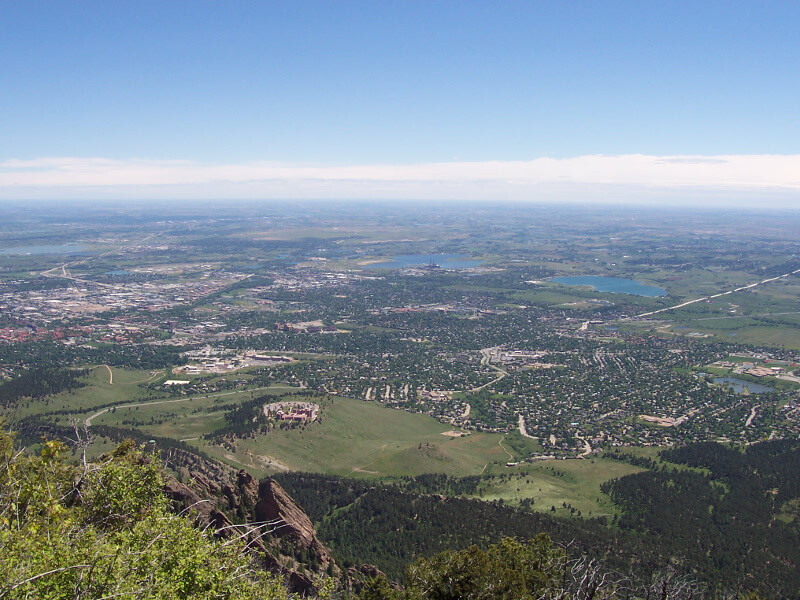 Boulder last year leased 7,690 acre-feet of water, including 6,950 acre-feet of Colorado-Big Thompson water, and has leased an average of 3,410 acre-feet per year since 2000; Longmont last year leased 612 acre-feet of Colorado-Big Thompson water, along with some city shares of supply ditches that deliver water from native sources such as the St. Vrain River and Left Hand Creek, figures provided by the cities show. Longmont revenues generated by its water rental program over the last four years total nearly $3.9 million; Boulder has generated $861,850. The reason for the discrepancy in revenue despite Boulder renting more Colorado-Big Thompson water than Longmont is Longmont rents more of its native water, and its rates for much of its Colorado-Big Thompson water are higher than Boulder’s. “We have 10 percent of that ag (Colorado-Big Thompson) supply yet to be transferred” to municipal or industrial control, Werner said, predicting about 20 percent of the system will likely stay under agricultural ownership for the foreseeable future. But as the [town board] looks at other plans to add water, it could introduce higher rate increases, higher fees for developers — or a combination of both. It just depends on the projects Windsor participates in. As the town grows, it’s looking at ways to prepare for an increase in water use. 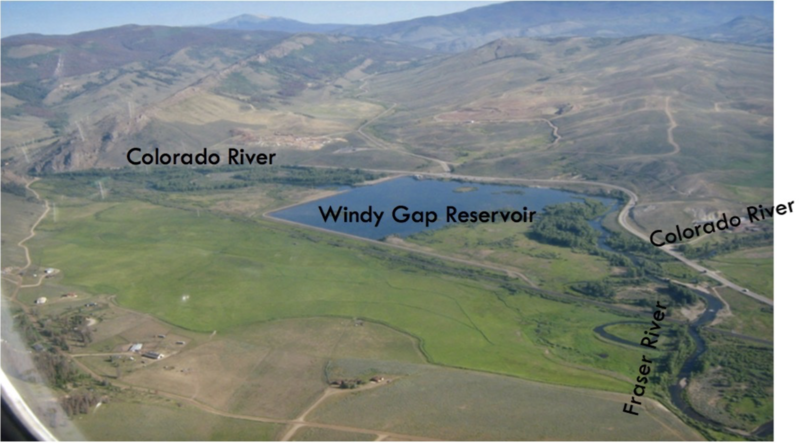 Among the recommendations Windsor Water Resource Manager John Thornhill presented to the board is to look at joining Windy Gap Firming Project and maintain participation the Northern Integrated Supply Project — both massive water supply projects managed by the Northern Colorado Water Conservancy District. 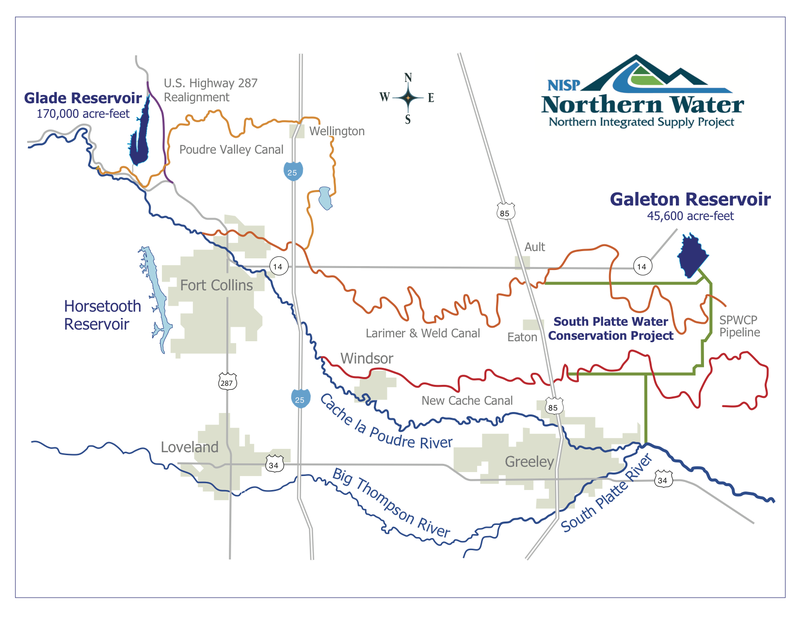 Windsor is one of 15 northern Colorado communities already planning participating in NISP, which is also managed by Northern Water. The project, which would also impact Evans, would provide 40,000 acre-feet of raw water to all of the participants — enough for 80,000 families. Of that, Windsor would get 3,300 acre-feet of water, 8.25 percent of the total project. Still, town officials project that Windsor will need to supply 15,803 acre-feet of water in the future. That leaves the town with an 8,731 acre-foot gap in the total amount of water the town is currently has plans for — including NISP — and what officials know they will need in the future. 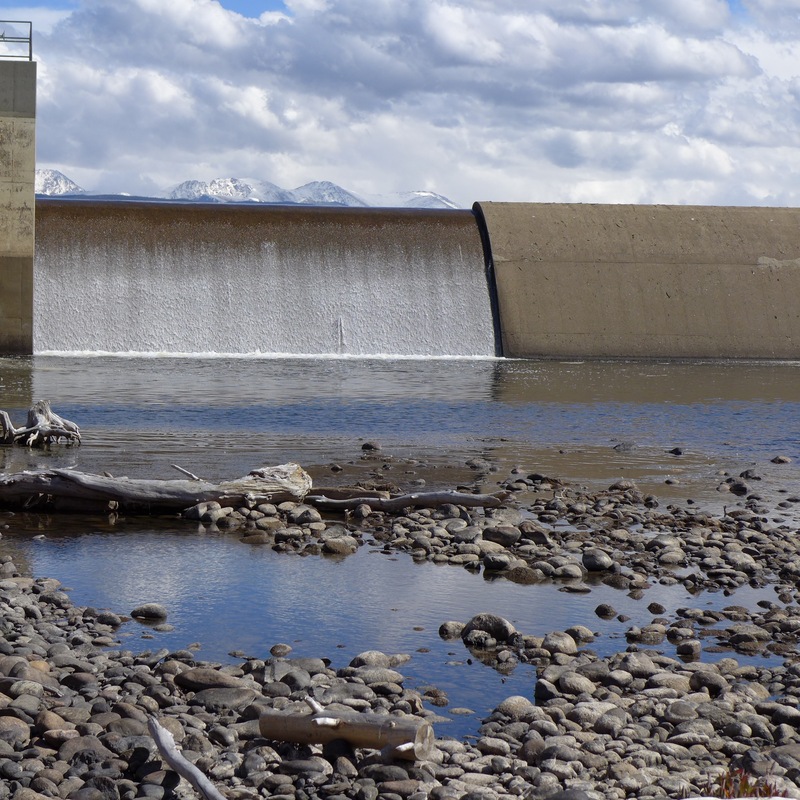 In addition to participating in the Northern Water projects, Thornhill recommended budgeting money for water conservation, as well as acquiring new water from other providers in the region, such as the North Weld County Water District. 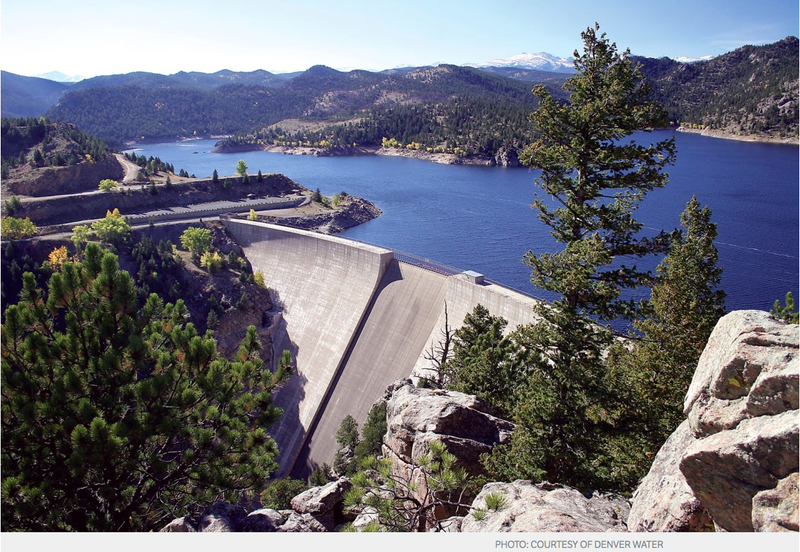 As it stands now, Windsor’s treatable water supply comes from the Colorado-Big Thompson Project, a Northern Water project that delivers more than 200,000 acre feet of water each year to 960,000 people in the eight counties it serves. 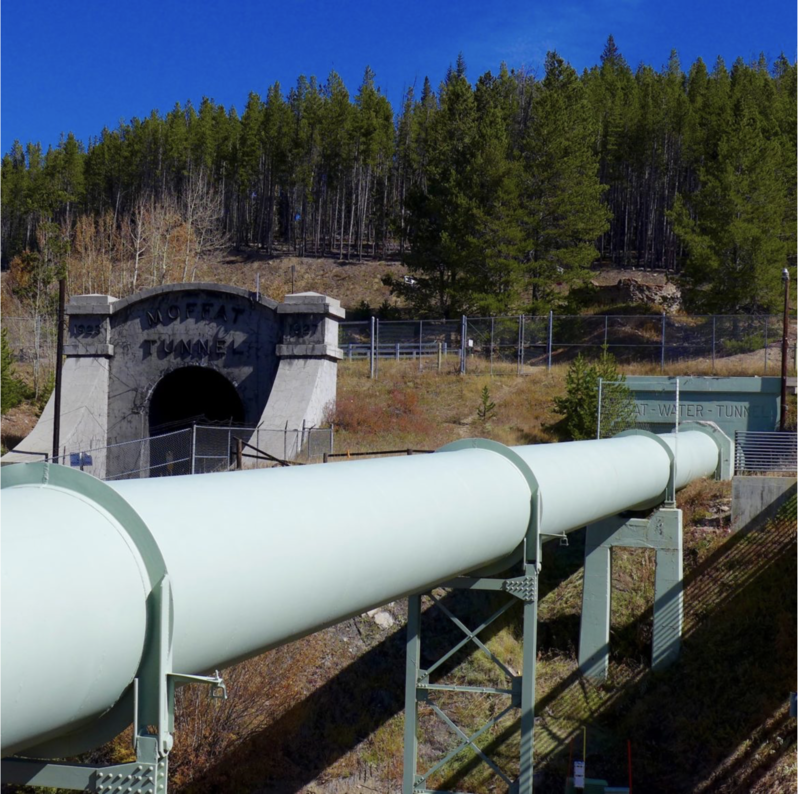 Work on the pipeline, known as phase two of the Southern Water Supply Project, is being overseen by Northern Water, which manages Carter Lake as part of the Colorado Big-Thompson Project. 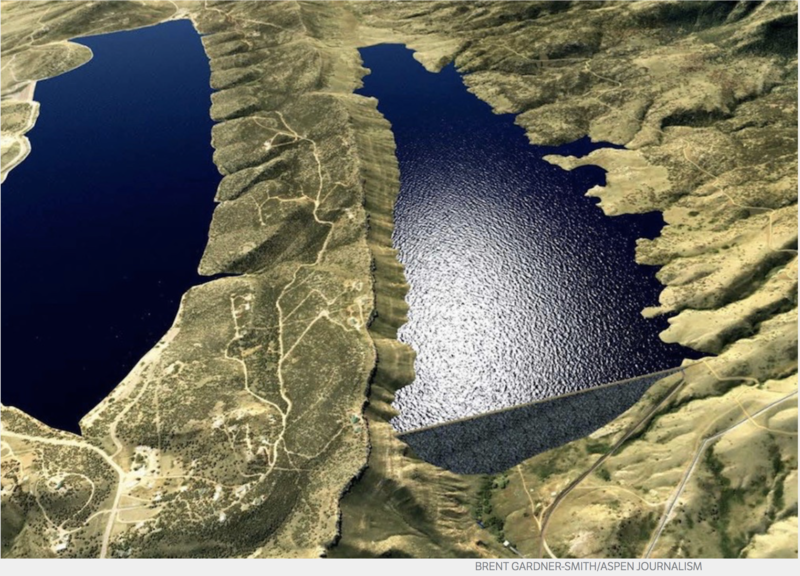 Once complete, the pipeline will improve water quality and delivery reliability compared to the open, above-ground Boulder Feeder Canal that currently brings water from Carter Lake to Boulder Reservoir. 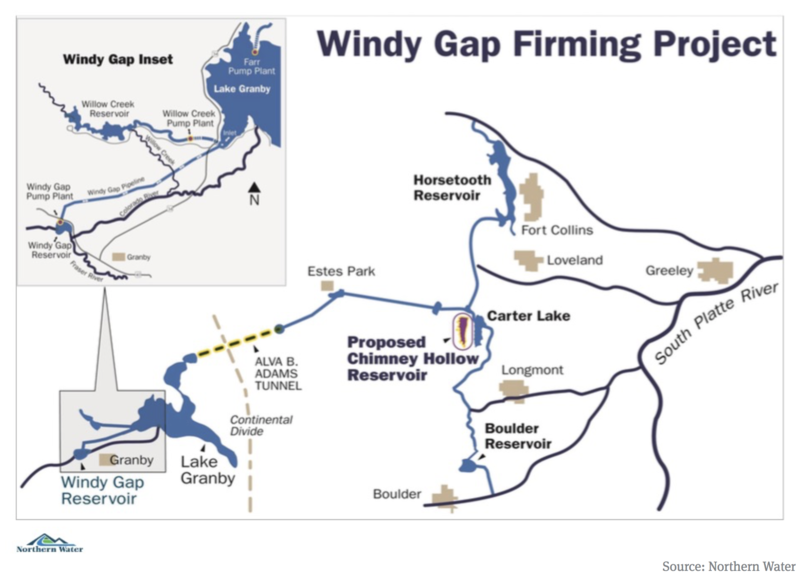 The new pipeline will pump 50 cubic feet per second of Colorado-Big Thompson and Windy Gap Project water, with Boulder receiving the bulk of the water among participants at the Boulder Reservoir Water Treatment plant, the pipeline’s terminus. Berthoud and Longs Peak Water District — which serves Boulder and Weld County residents in an area north of Longmont — will each receive 3 cubic feet per second, but on Thursday officials from the town and district could not to provide their share of the costs of the remaining $4 million for the project. “During some portions of the year the pipeline will act as the primary source of raw water for the participants in the project,” the Northern Water release states. When the pipeline is complete, the Dodd Plant will be open year-round. The first 12 miles of new pipeline, from Carter Lake to St. Vrain Road in Longmont, will parallel the existing Southern Water Supply Project pipeline, which was runs to Broomfield and was completed in 1999. 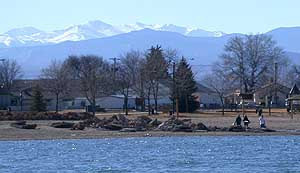 From St. Vrain Road, the new pipeline will continue south to the Boulder Reservoir Treatment Plant. Five nonprofit environmental groups filed a lawsuit in October, including Save the Colorado, Save the Poudre, Living Rivers, the Waterkeeper Alliance and WildEarth Guardians. The Colorado chapter of the Sierra Club joined the lawsuit in November. 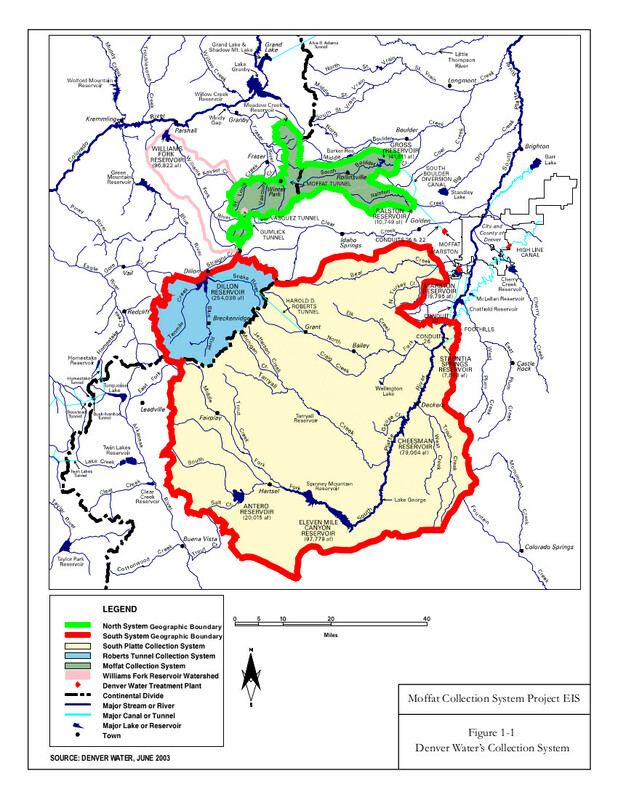 The support from some environmental organizations, including Trout Unlimited, stems from the mitigation measures designed to reduce its impact on the Colorado River headwaters, including a new bypass, or connectivity, channel that will allow more of the river to flow past the Windy Gap Reservoir. Lurline Underbrink Curran, the former county manager for Grand County, has also appealed to Robert Kennedy, Jr., of Waterkeeper Alliance, to drop the lawsuit. Editor’s note: Aspen Journalism is covering the Roaring Fork and Colorado River basins for The Aspen Times. The Times published this story on its website on Tuesday, Aug. 21, 2018, as did the Glenwood Springs Post Independent.